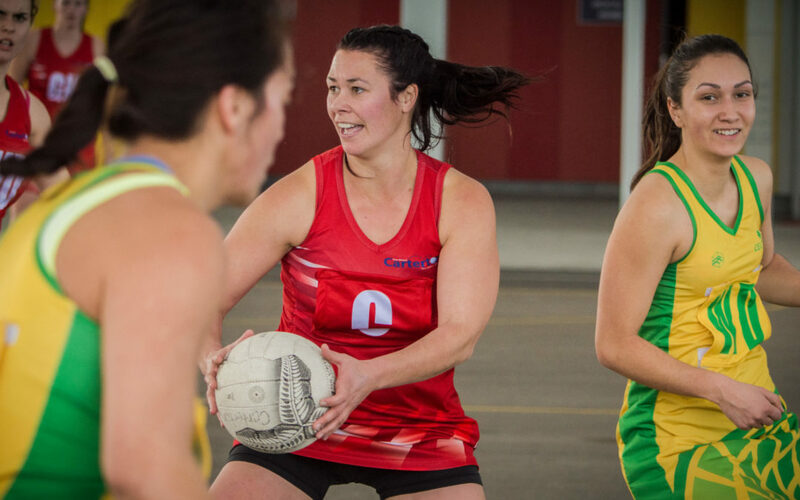 Carterton Netball Club’s impressive season ensured they would have a strong presence at next Wednesday’s Netball Wairarapa awards night. Carterton enjoyed a resurgence in the premier one grade this year, making it to the final but coming up just short in a 43-46 loss to Harcourts last weekend. But the Carterton Legends team made no mistake in the premier reserve final, where they beat Greytown 57-54 in an equally exciting match at the Colombo Rd courts. Abby Scott was an inspirational captain for the Carterton premier one side, leading from the front and helping to create a successful environment for her players to flourish. Her efforts were rewarded as she was named as a finalist in the senior player of the year category, where she will be up against Aja Walker and Tanea Dudson. As a team, the Carterton premier one side were nominated for senior team of the year, where they will go up against the Coasties – runners-up in premier two – and Makoura Junior B who won the senior B competition. Carterton premier coach Trudy Hullena headlines a strong group vying for the senior coach of the year award, after guiding her side through their successful season. She will go up against Darleen Rameka and the coaching pair of Georgie Green and Tessa Carroll. Also featuring at the awards night will be Larissa and Jodi O’Brien, who are both finalists in the individual contribution category, alongside Kim Whiteman. Larissa is also a finalist for contribution to umpiring, where she will be joined by Charlotte Hamill-Harris and Caitlin Elliott, who won the award last year. On the primary netball side, Whiteman will also have the chance to win the primary coach of the year award, but will face tough competition from Alaina Hing and Carlene Karaitiana. Primary player of the year will be one of the most hotly-contested categories, with four talented youngsters up for the award. Charlie Hintz, Vyktah Tamihana, Tatiyana Hawkins and Maia Rowlands have all enjoyed successful seasons, and deserve their place as finalists. Masterton Intermediate School has two finalists in the primary team of the year category, with MIS Year 7 Steel and MIS Pulse both up for the award. Joining them will be the Southern Steel team that narrowly lost the grade 1 final to MIS Steel. The other award is for club contribution, and the finalists for that are the Tuhirangi, Carterton and Lansdowne Clubs. Individual contribution: Larissa O’Brien, Kim Whiteman, Jodi O’Brien. Club contribution: Tuhirangi, Carterton, Lansdowne. Contribution to umpiring: Larissa O’Brien, Charlotte Hamill-Harris, Caitlin Elliott. Primary coach of the year: Kim Whiteman, Alaina Hing, Carlene Karaitiana. Primary player of the year: Charlie Hintz, Vyktah Tamihana, Tatiyana Hawkins, Maia Rowlands. Primary team of the year: MIS Year 7 Steel, MIS Pulse, Southern Steel. Senior coach of the year: Darleen Rameka, Trudy Hullena, Georgie Green and Tessa Carroll. Senior player of the year: Abby Scott, Aja Walker, Tanea Dudson. Senior team of the year: Carterton New World Red, Coasties, Makoura Junior B.